Even as the wireless industry works through its deployment of higher-speed 4G wireless networks, Ericsson CEO Hans Vestberg has his eye on the next "G.".Verizon is aiming to launch America's first 5G network, five years after it became the first carrier to offer 4G. Verizon announced Tuesday that it will begin field-testing 5G network technology next year, aiming to have some part of its 5G network up and running for commercial use by 2017. Early test proved that 5G is 40 times faster than 4G. With speeds that fast, you'll be able to do incredible things on your smartphone like streaming "8K" video in 3-D. A person with a 5G smartphone could download a 3-D movie in about 6 seconds. On 4G, it would take 6 minutes. 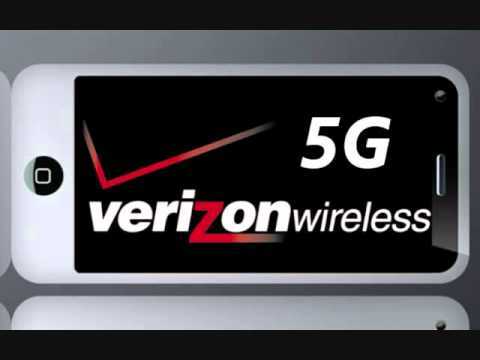 Verizon's initial 5G tests will take place at two of its research labs. There it'll be working with Samsung, Nokia, Qualcomm, Cisco, Ericsson, and Alcatel-Lucent on the technologies needed to support 5G's faster data speeds — eventually, new technology is going to be needed everywhere from the cell tower to the inside of smartphones. Last time around, when Verizon was working on 4G, the carrier says it took about two years before it began a commercial deployment. That may make 2017 an aggressive timeline for beginning commercial deployment of 5G, but Verizon's language suggests that 2017 will barely be the start.